How can RIM make a comeback? RIM, the company that once held 45% of the smartphone world with their excellent line of BlackBerry devices, has crumbled in the last few years to a little under 5% share of the mobile market. We may still see more people using their handset then their closest rival, Windows, but the tide is changing and with Nokia’s successful Lumia 920, we may start to see more Windows and even less BlackBerry. But Thorsten Heins doesn’t seem that worried about his companies rather lacklustre performance these past few years, despite RIM being on the verge of bankruptcy if BlackBerry 10 doesn’t work out for them. Heins, like many others at RIM, probably believe if this plan doesn’t work for them, then RIM is doomed for failure. Not because they are technically a bad company, but because they cannot make money off age-old technology. That is why he has went out and said all the good features on BlackBerry 10, to make users assume that RIM are moving on as a company. The problem for RIM is they are still holding onto the idea that users of BlackBerry’s want the same thing they did five years ago. That is, a good keyboard to message and a good smartphone for enterprise and social users alike. This is not what the customers want now, yes, some business users may still want that small typepad instead of the aggravating touchscreen, but RIM wants to appeal to the mass market in order to gain traction, and it cannot do that with an enterprise level phone. RIM is going to try and appeal to the mass market with their touchscreen smartphone. It is well build, has a screen that is the same range most Android devices are and the OS looks a lot like a mix between Android/iOS. The only way this smartphone will gain any ground is if it actually is better than an Android flagship and equals the iPhone. 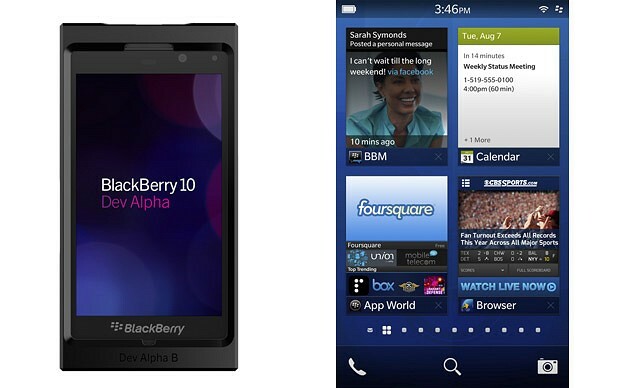 We need to see the BlackBerry tick all the boxes, not just ones for business users. So in short, RIM needs to look to make better applications for normal users, look towards future technologies instead of looking back to their glory days and make sure they keep their hardware good and strong.